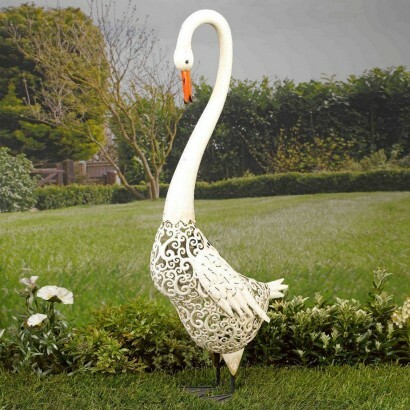 Add elegance and height to your garden from this grand swan solar garden decoration. 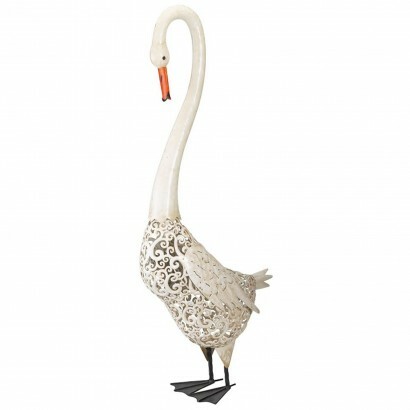 Standing tall and proud, this charming metal swan has a scrolling patterned body that casts striking shadows when lit for stunning effects. 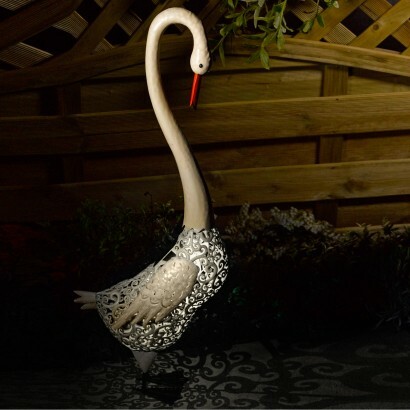 Set to either colour change or white light settings depending upon the occasion and enjoy beautiful garden lighting with a delicate patterned silhouette. 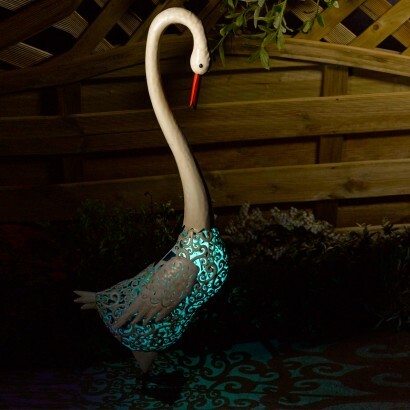 The solar panel sits on the back of the swan, so there's no wires, simply stake where it'll get maximum exposure to light and this stunning swan will sense darkness to automatically switch on night after night.